In the world of SAP FI-CO, CO stands for ‘Controlling and Cost Management’ or ‘Costing’ among some companies, as a subset. Controlling also includes Internal Accounting and Management Accounting. CO has three primary subsections: OM, CEL, and PCA. These subsections cover overheads, cost and revenue element accounting, and profit center accounting. Costing elements that manage objects in Controlling with Project Systems include internal orders, the cost centres themselves, and the project systems’ work breakdown structure, among others. In aggregate, these roll up to profit centres and then to the balance sheet. Cost Centres are simplistically units within SAP where income and expenditure (costs) can be allocated. They are typically referenced by an integer key such as 800000. 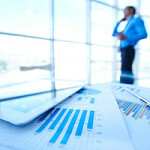 The idea behind this aggregating value is that all costs associated with a department or major activity like a project can be allocated to that account. Cost Elements are used to collect and summarize the allocated costs according to classification and are typically defined as a five digit integer, like the example above. They span ranges of logical allocation, such as External Revenue, External Costs, Internal Revenue, and Internal Costs. Cost Element Groups are used to combine the cost elements into groups of the same type. This becomes very useful for reporting and summarizes the decision-making, responsibility, and control areas according to the particular requirements of the organization. The individual Cost Centres are attached to the lowest hierarchal node level. You can also create any number of alternative hierarchies or Cost Center Groups, and structure these groups according to organizational divisions (such as area of units) and/or functional viewpoints (internal service chargebacks). Cost Center Groups enable you to perform cost planning, cost allocations and reporting in a very organized and granular way. In SAP, the groups are represented by a tree hierarchy, which anyone who has worked with SAP and Winshuttle Transaction for some time will know is a challenge to record and map. One of the main challenges is knowing where a particular item is located in that tree. Additionally, even if you know the location, you are limited in what you can do with the transaction, so maintenance with conventional transaction recordings can be tricky and may require GUI scripting; which your system may not be configured or allow. 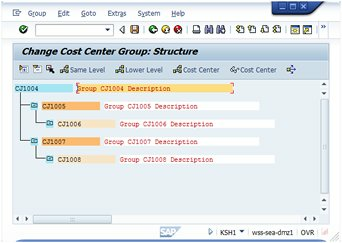 The classic method for Cost Center Group creation is: Select SAP R/3 System -> Accounting -> Controlling -> Cost Center Accounting -> Master Data -> Cost Center Group -> KSH1 – Create. Go to the Create Cost Center Group Initial Screen. From transaction KSH1, you can create a group by listing the cost centres individually or by specifying a range of cost centres within the new group. Winshuttle Transaction is the execution engine that was ultimately used to perform the creations, reports, and changes. It was also used as the associated TxR’s that can be used as directly embedded scripts in the workbook, with Winshuttle User Governance for example or published as web services with Winshuttle Server. 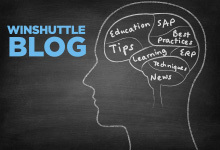 If you’re interested in the example scripts and usage procedure, please take a look at the content on the Winshuttle support Website for further information. There doesn’t appear to be a good way to delete nodes, so my suggestion would be to delete the root node manually and recreate the entire tree from scratch when reorganizing your groups. Another option might be using a new tree name/group when you want a variation. From a data querying perspective, if you are using Winshuttle Query as part of Winshuttle Studio, you can access the Cost Center Master Data via table CSKS. Other cost-related tables often start with the letters CS or CO. Examples of how you have used this in your environment or feedback, as always, are most welcome. Find out how Winshuttle solutions can help you streamline all of your SAP financial transactions.